In support of the OpenQuest Bundle of Holding that is currently running until Tuesday 4th April, here’s the fourth of a series of posts this time about how the OpenQuest module The Savage North was written. 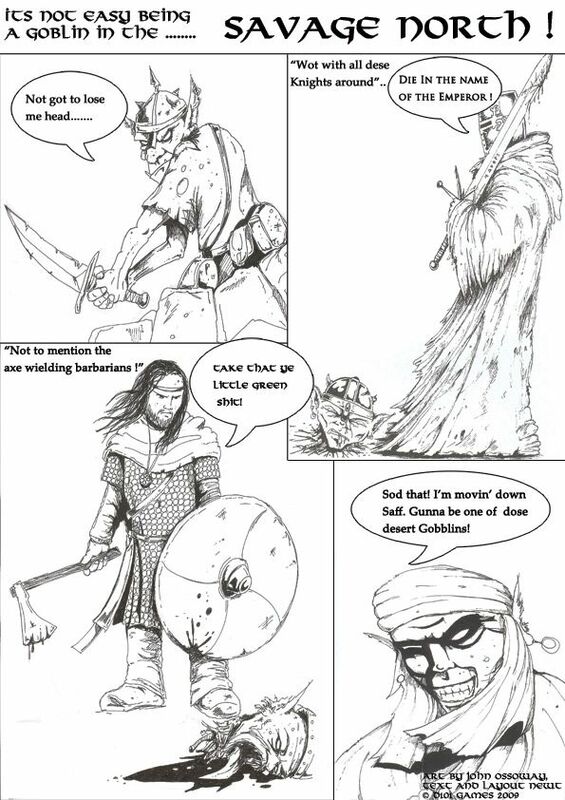 The Savage North was the first OpenQuest module that I released shortly after the games 1st edition came out. During OpenQuest’s final stages of production my thoughts turned to the games first scenario release. Life and Death, which was intended as the first release, was still in the writing stage and was bogged down in authorial angst 🙂 Me and John had already been chatting about our mutual love of D100 games at our weekly lunches and John mentioned his Conan RQ3 game that he had run. From his recollections they sounded like a lot of fun. He also mentioned that he had written them up (like he had done for his Cthulhu Rising scenarios). My eyes lit up at this. A quick conversion from RQ3 to OQ, a new setting to replace the Conan material and Lovecraftian Monsters (that’s right John’s original adventure featured Dark Young of Shub Niggurath and Deep Ones as adversaries) was all that was needed. Thus the Savage North setting full of Crusading Nights, Pseudo-Viking Warriors and blood sucking Demons from the Outer Dark was born. John did the art as well as the scenarios and it was fun to work with him on it.